Not every situation is suitable for a guardrail. 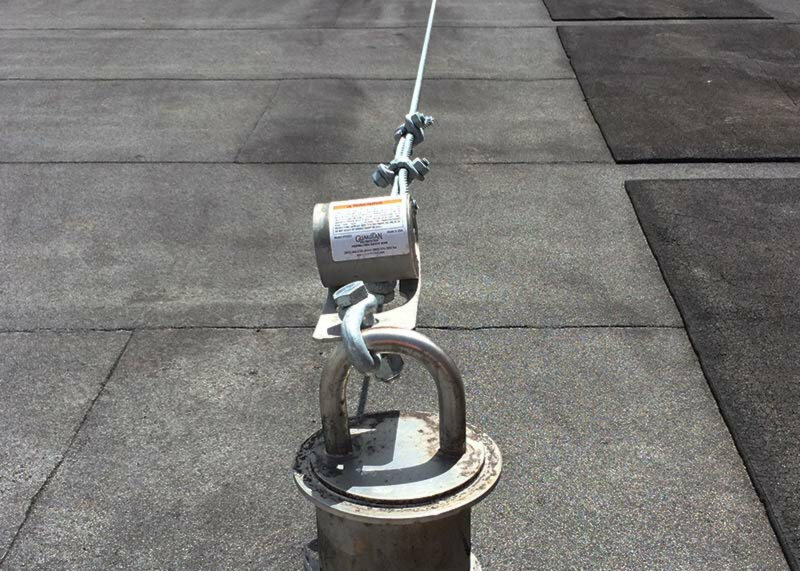 In circumstances where a fall cannot be prevented, fall protection lifeline systems are your next line of fall protection. Lifeline systems can be used to arrest workers in the event of a fall (active system) or restrain workers from reaching a fall hazard (restraint system). Learn more about the difference between fall arrest and fall restraint. 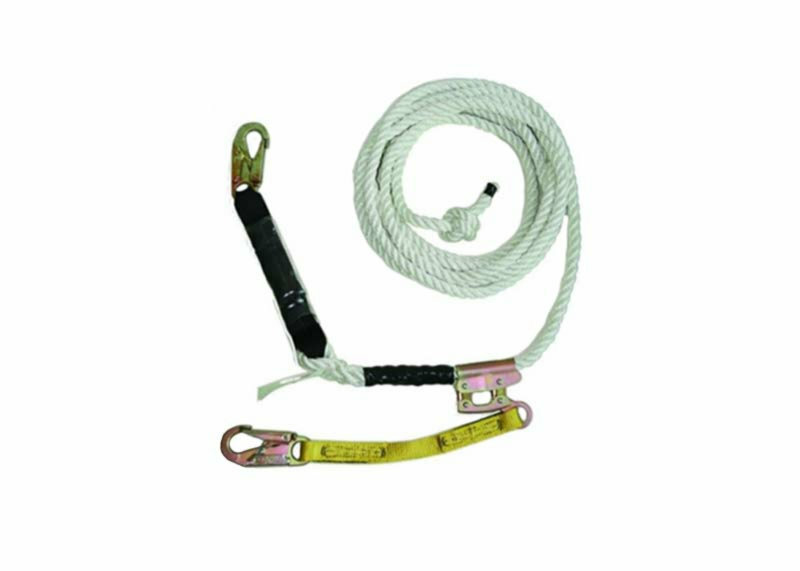 Fall arrest lifeline systems usually involved a fall arrest harness and anchor points. 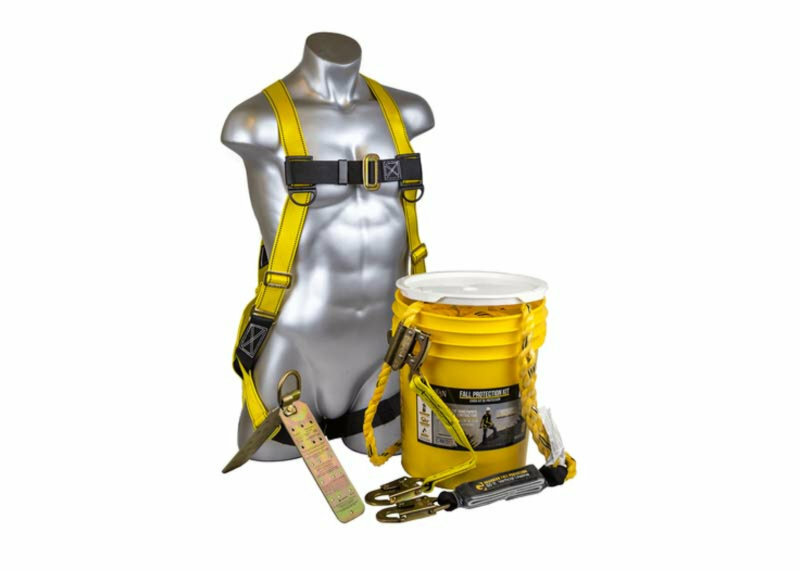 Below are a few of our fall arrest solutions, lifelines and tie off points. It is necessary that a lifeline, whether temporary or permanent, be installed and tested by a qualified person. 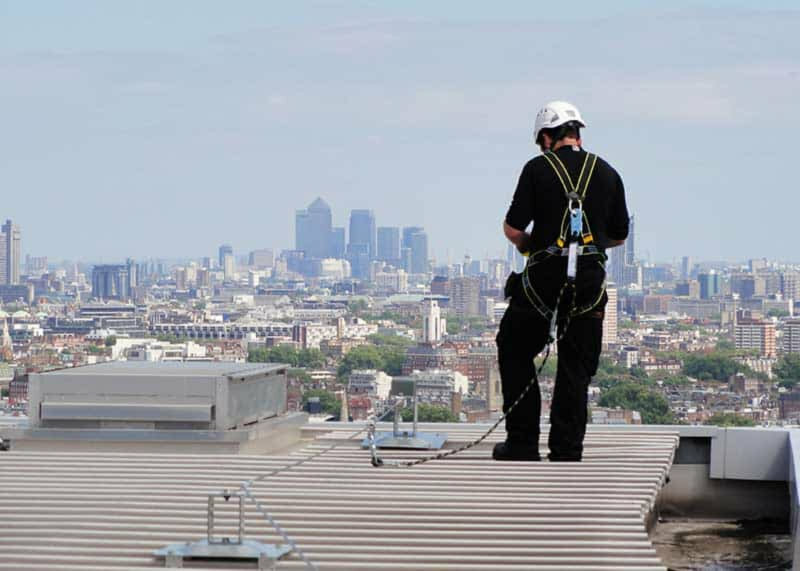 Horizontal lifeline systems built to provide continuous protection for multiple users working at height. 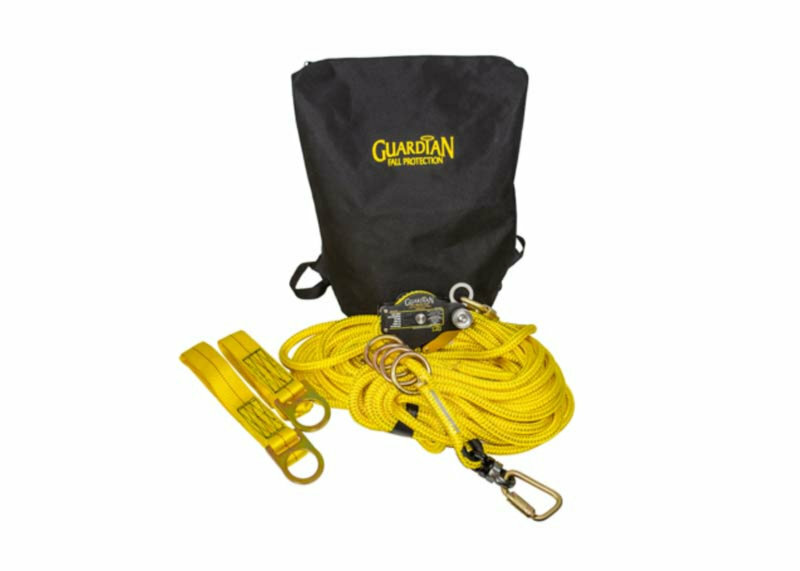 Pre-engineered horizontal lifeline system that uses the Guardian Absorbinator. This lifeline system can be installed by a trained Competent Person. 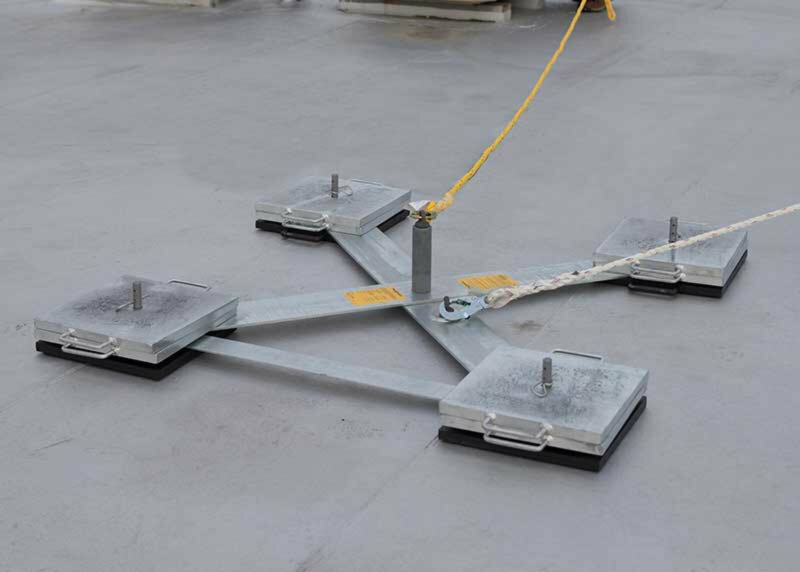 Weightanka is a mobile, dead weight anchor system for use on roofs up to 5 degree pitch. The quick-to-assemble system features a central attachment point which raises the height where the arrest force is applied. 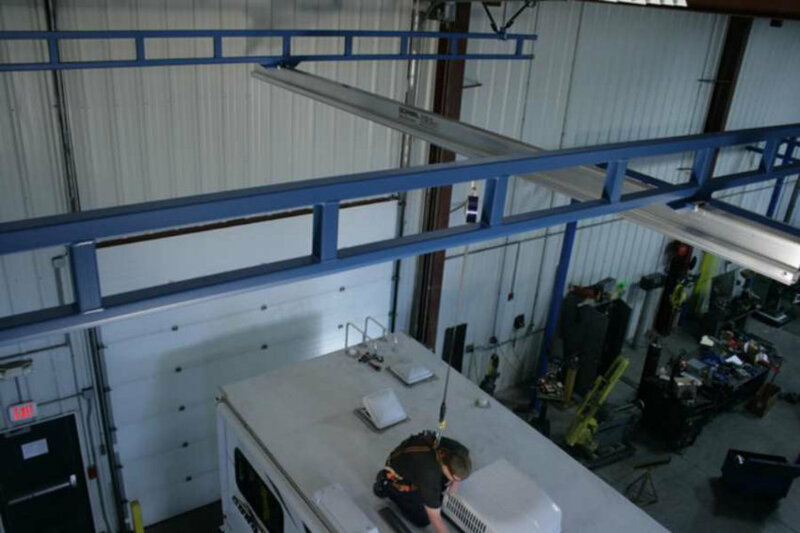 Tether track is a rigid rail overhead lifeline system that does not sag or bend during a fall. Rope and steel cable temporary horizontal lifelines that can be installed temporarily and then reused. Lifelines that can be used to traverse up and down the sides of roofs and ladders. Lifeline systems that are suitable for use during construction.